Some of the biggest Hollywood studios have just called out Kodi for allowing third-party add-ons that stream copyright protected content. This shock move is set to change the face of streaming-services. If you’ve cut the chord, it’s essential you stay updated! 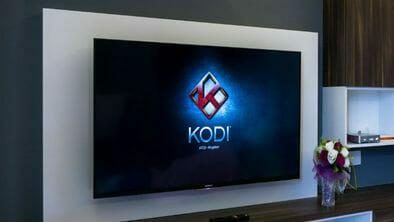 As an increasing number of consumers cut the cord and move to streaming media, Kodi has become a much-loved entertainment platform. Currently, nine-percent of US households use the service, alongside nearly five million Brits. All across the world, this open-source media-player provides access to streamed content including music, film, TV, and podcasts. While the core system doesn’t actually host any material itself, Kodi allows access to local and network storage media. However, many third-party developers have also created add-ons, which provides users with more extensive catalogues. These additional plug-ins are not under Kodi’s jurisdiction, with – in theory – the liability lying solely with the creators. However, the Alpha platform has once again stumbled into legal drama due to the add-on feature. What Caused The Kodi Feud? The problem with Kodi add-ons is that they often offer copyrighted content, which technically means they count as piracy. Even though the team behind Kodi are not responsible for the illegal material, the Alpha is usually on the receiving end of the repercussions. There have already been examples of legal troubles in the past, with lawsuits against certain add-ons shutting down individual streaming channels. However, many fear this latest development may signal the end of Kodi altogether. The company recently disabled the add-on feature entirely after receiving a letter from the Motion Picture Association (MPA). It accused the Alpha of being involved in the collection and upkeep of ‘unlawful access to protected copyright materials.’ As the MPA represents many major industry players, the accusation was backed by Columbia Pictures, Disney, Paramount, Sky U, K., the Football Association Premier League and numerous others. It seems the pressure of so many significant studios has finally forced Kodi’s hand and prompted action. In the past, Kodi has already actively discouraged the use of Piracy add-ons. The company has even gone so far as to ask that developers that breach copyright don’t affiliate themselves with the platform. After the recent cease-and-desist letter, Kodi has shut down the add-on feature completely. There have been attempts to block all streaming plug-ins indefinitely and calls for users not to associate the Kodi name with boxes that feature third-party plug-ins. The effort to protect the brand has even gone so far as asking YouTubers and resellers to promote any Kodi boxes with Mods as a wholly rebranded product. These changes have, unarguably, completely transformed the Kodi service. So, what does this mean for the future of the media-player platform? After a lawsuit in June, ZemTV and Phoenix were forced offline. Following this recent letter, many prominent developers immediately removed their streams. Alongside pulling the add-on feature, Kodi also halted the development of urlresolver, metahandler, Bennu, DeathStreams, and Sportie. Because of these factors, it seems that third-party plug-ins are in their final days. Even if the current universal ban is only temporary, the company’s ability to dodge legal repercussions is looking slim. Particularly as so many popular add-ons have already been shut down. However, this is not the first time Kodi has bounced back from legal trouble. The open-source nature of the Alpha provides endless opportunities to overcome problems and the need for a streaming-service aggregator is bigger than ever. If add-ons aren’t reinstated, Kodi has already shared their dreams of working with Netflix, Amazon and other legitimate services. Perhaps we are going to see the company develop in that direction. Whatever happens, you can be sure that it’s not time to throw out your Kodi box just yet. If you rely on Kodi as your primary source of media entertainment, then it’s likely you’re worried by this recent development. It’s true that you have some big decisions to make, but there are plenty of resolutions available to explore. As already mentioned, this not the first legal battle Kodi has endured. It’s possible the service will be reinstated. Currently, it already appears that not all of the add-on streams have been successfully blocked, so it is possible to find content. Similarly, you can still use legal plug-ins, such as YouTube and Twitch. However, be warned that this option could leave you in the lurch, as there’s no guarantee Kodi can survive the current legal pressure. It’s advisable to find a backup service now – just in case! There are plenty of other media players that work in a similar way to Kodi. While not all have enjoyed the same widespread success, they provide a suitable fallback in case the worst does happen. Roku, for example, mirrors much of the same content, although it doesn’t support the Kodi application itself. While the catalog-size it not comparable to what used to be available on the Kodi Alpha, it’s advisable to keep an eye on non-Kodi media platforms. They’re likely to expand quickly if the former service is disbanded completely. If you’re using a streaming-media box, it’s likely it hosts more than just the Kodi application. One of the most popular alternatives is Plex. It’s incredibly similar to the Kodi Alpha, as it was developed from forked code in 2008. However, Plex does not offer add-ons. Instead, it provides a similar ‘channels’ feature that is less customizable, but not liable to piracy lawsuits. As the media center isn’t open source, it also boasts a more straightforward user experience, increasing accessibility for new subscribers. While the future of Kodi remains uncertain, one thing is clear: the media industry giants are not willing to lie down to streaming services without a fight. This battle between entertainment providers looks as if it will continue for a substantial amount of time. If you’re worried about becoming entangled in the piracy accusations, you can use a VPN for streaming media anonymously and securely. For now, all we can do is wait for Kodi to make a statement detailing their plan of action.